Born in Baltimore, Bill Frisell played clarinet throughout his childhood in Denver, Colorado. His interest in guitar began in his exposure to pop music on the radio. Soon, the Chicago Blues became a passion through the work of Otis Rush, B.B. King, Paul Butterfield and Buddy Guy. In high school, he played in bands which covered pop and soul classics, James Brown songs and other dance material. Later, Bill studied music at the Universary of Northern Colorado before completing a program of studies at Berklee College of Music in Boston where he studied with John Damian, Herb Pomeroy, and Micheal Gibbs. In 1978, Frisell moved for a year to Belgium where he concentrated on writing music. In this period, he toured with Micheal Gibbs and first recorded with German bassist Eberhard Weber. In 1979, he moved to the New York metropolitan area, where he has lived and work ever since. "When I was 16,17, I was listening to a lot of surfing music, a lot of English rock. Then I saw Wes Montgomery and somehow that kind of turned me around and fitted it all together. Jim Hall made a big impression on me and I took some lessons with him. I suppose I play the kind of harmonic things Jim Hall would play but with a sound that comes from Jimi Hendrix," Frisell told Wire. Besides Hendrix, Hall and Montgomery, Bill lists Paul Motion, Thelonios Monk, Charles Ives, Sonny Rollins, John Zorn, World music and his teacher Dale Brunning among his musical influences. In addition to dozens of albums as a sideman, featured player or co-leader, Bill has recorded three previous albums as a leader (all on ECM). His first, In Line, subdued and lyrical in nature, employed both electric and acoustic guitars in a series of solos (incl. some overdubbing) and duets with bassist Arild Anderson. It was followed by Rambler, which featured Kenny Wheeler, Bob Steward, Jerome Harris, and Paul Motion. Fanfare reviewed it as follows: "Bill Frisell has built a little masterpiece here-not just as a showcase for his own instrumental creativity (of which there is much in evidence), but a cleaver and poetic whole." People described Rambler as a "synthesis of sophistication and simplicity-what the best of 80's jazz is all about." 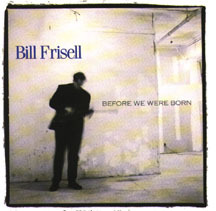 Frisell's third album, Lookout For Hope, marked the recording debut of the Bill Frisell Band. The material, ranging from country swing to reggae, quasi heavy metal and backbeat rock with a twist to Thelonious Monk's "Hackensack," was all however strangely unifed. High Fidelity called it "the fullest showing of Frisell's ability to date, especially his comoposistional range." The Chicago Tribune said, "Lookout For Hope offers one of the most hopefull signs that contemporary jazz can evole with dignity, wit, and charm." Bill Frisell's debut recording for Electra/Musician is perhaps his most ambitious recording project to date. It features the guitarist/composer in three different musical settings: Peter Scherer and Arto Lindsay have produced, co-arranged and performed on three Frisell compositions- "Before We Were Born." "The Lone Ranger," and "Steady, Girl." 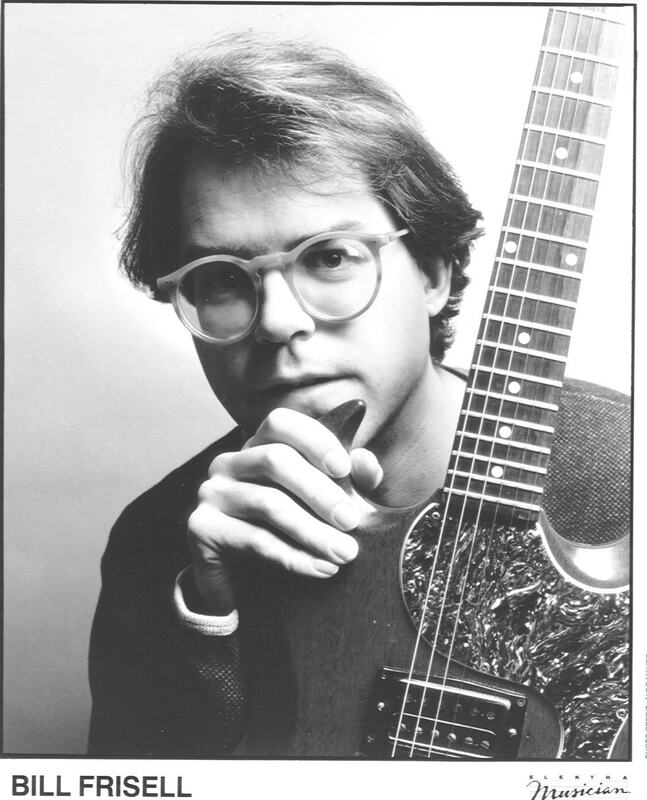 "Some Song and Dance" is a suite of four pieces performed by the Bill Frisell Band (Hank Roberts-cello, voice, Kermit Driscoll-electric bass, Joey Baron-drums) with a saxaphone section consisting of Julius Hemphill (as soloist), Billy Drewes and Doug Wieselman. "Hard Plains Drifter or as I take my last breath and the noose grows tight, the incredible events of the past three days flash before my eyes" is an extended work of Frisell's music shaped, produced and arranged by John Zorn, performed also by the Bill Frisell Band. Bill Frisell has long since been "discovered" by an impressive list of musical collaborators and a growing audience alike. His work over the years with such demanding and diverse musical personalities as Paul Motion, John Zorn, Marc Johnson's Bass Desires, Power Tools, Marianne Faithful, Jan Garbarek, Lyle Mays, Vernon Reid, Julius Hemphill, Paul Bley, Wayne Horvitz, Hal Wilner and numerous others has established him as one of the most sought-after guitarists in contemporary music. The breath of such performing and recording situations reflects both Frisell's musical versatility as well as his singular guitar conception. ore recently, however, it is his role as guitarist/composer/band leader which is garnering incresing attention and praise. The Bill Frisell Band features Hank Roberts (cello), Kermit Driscoll (electric bass) and Joey Baron (drums)- all long-time friends and musical associates of the leader who plays electric and acoustic guitars in addition to banjo in the group. "Frisell's pals just happen to be superb musical chameleons, up to every change of gears and genre the guitarist's catch-all music throws at them. The four-piece band even comfortably follows the leader onto C&W turf, as Frisell's digital delay unit approximates the whine of a lonely steel guitar. That country sound is a distant reflection of his Colorado boyhood. "- Minneapolis Star Tribune. Frisell's comments to the same publication: "That always seems to come out of somewhere. When I was in Colorado, I never really played that country stuff or even liked it that much, though it was all over the radio. But as I got older, it crept into my music a lot." In fact, The Chicago Tribune has noted "Frisell possesses not only impressive compositional skills but a remarkable ability to encompass seemingly antagonistic musical genres. " Commenting on his eclectic compositional inclinations, Frisell told Down Beat: When I write something, it just sort of comes out. I'm not thinking, "Now I;m going to write something in a certain style, it doesn't work. I don't know if thats important or something I need to do, or if it doesn't matter. I don't care; I'm just thankful something comes out sometimes." Down Beat observed: "With his respectful if improbable eclecticism and audible ethnic-guitar roots, Frisell is the new music's Ry Cooder...His engagingly droll sense of humor is never far from the surface; no one else's persistent dissonances sound so consistently congenial." Still, though, it is Frisell's originality as a guitar stylist which has caused the greatest stir. Using delays, distortion and a volume petal, Frisell, as Jazz Times once observed "has an airbrushed attack, a stunning timbral palette and a seemingly innate inability to produce a gratuitous note." Musician has described his guitar style as "modern in the best sense of the word, straddling the electronic ambience and distortion of contemporary rock and the nuances of touch and harmonic sophistication usally associated with jazz."